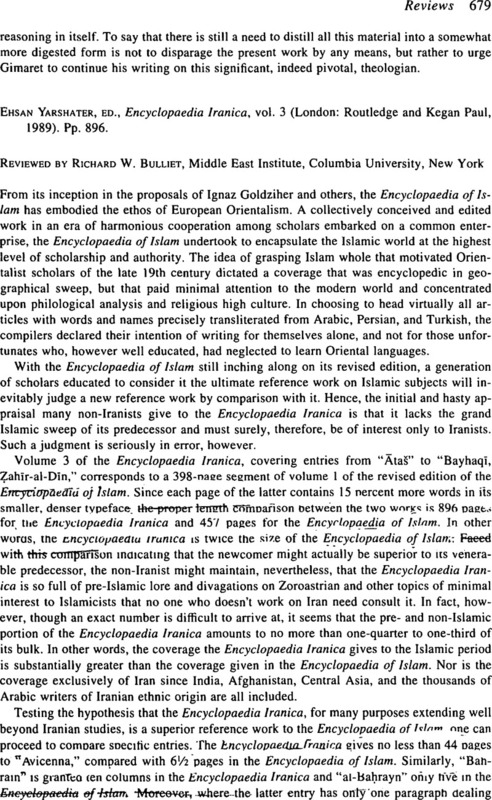 Ehsan Yarshater, ed., Encyclopaedia Iranica, vol. 3 (London: Routledge and Kegan Paul, 1989). Pp. 896.